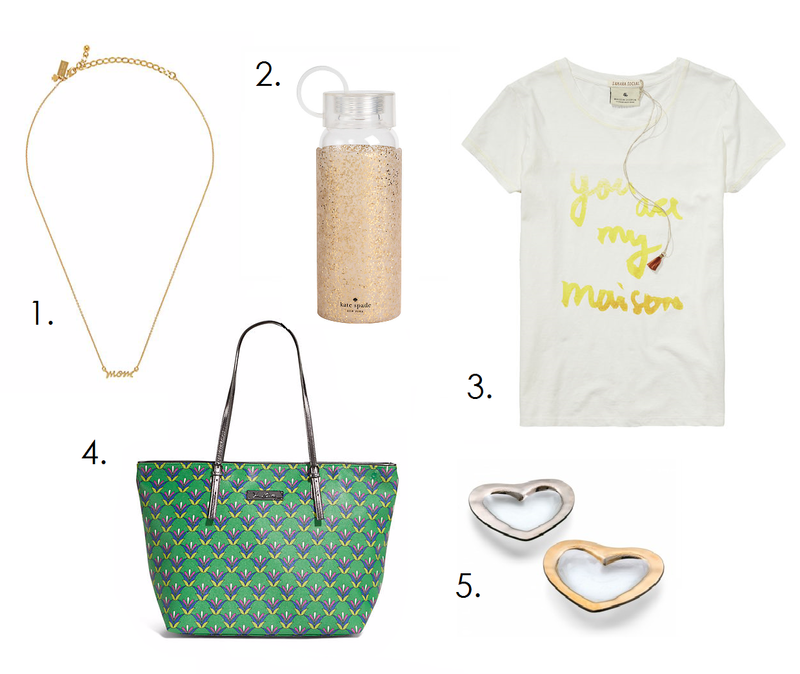 I don't know whether its the early warm weather or just that I am obsessed with the season's style trends, but for my 2015 Mother's Day guide I have summer travel on my mind! Whether you are shopping for a mom or you are a mom and just treating yourself this Mother's Day, I have teamed up with Santana Row to bring you some perfect presents with summer style flair! For the new mom who might be planning a local "staycation", why not get her some gifts worthy of making her daily routine a little more glam. I personally love the idea of gifting these Annieglass Dishes paired with Kate Spade's MOM necklace. Not only is the necklace a classic piece that can be dressed up or dressed down, but how cute will it look displayed in one of these heart shaped pretties with some other everyday baubles. LOVE! Annieglass is a new store at The Row and its selection of luxury tableware is must shop. For that around-town mom, a fun tote and cute water bottle are a great gift set. Vera Bradley has an amazing selection of totes, which can grow from a diaper bag to a weekend trip purse. I am also pretty smitten on this Soda and Scotch top as a simple but sweet present. "You are my MAISON" translated to "You are my HOME", how fitting of a gift for any mom. Home is where the heart is and if your like me my mom is my heart! 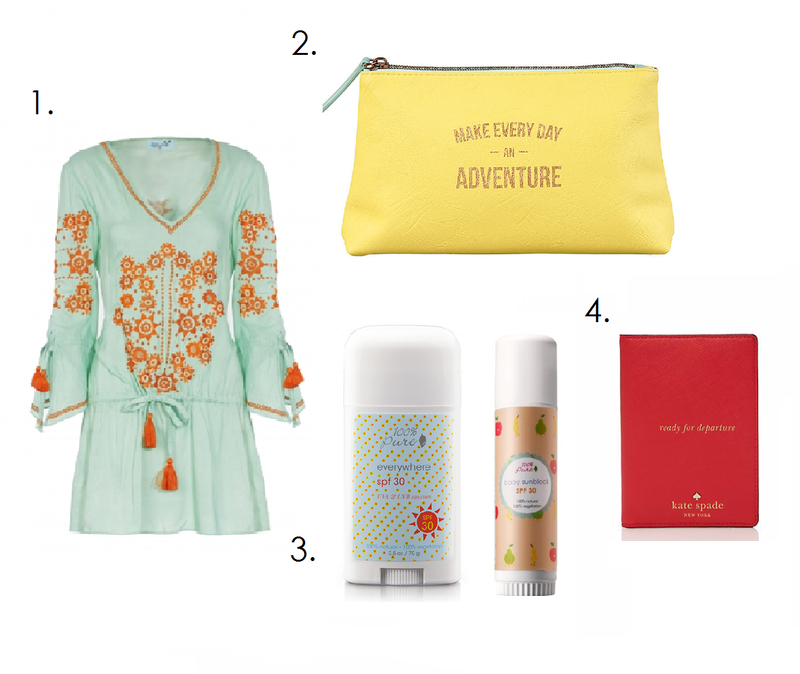 For that mom ready to take flight, consider gifting summer travel essentials that don't sacrifice style for function. How sweet is Paper Source's "Make Everyday An Adventure" makeup bag, paired with Kate Spade's "Ready For Departure" passport holder. WANT! If you are looking for a statement present, Letarte has a bevy of chic beach style dresses with en trend tassel and embroidery details. Santana Row will also be hosting a number of Mother's Day Dining restaurant specials so make sure to check that out. With a couple of summer trips in my future I think I might need all of these. I mean dog moms are real moms too you know! LOL. Happy Shopping!